Is there any registration requirements in Miss. or LA for them? 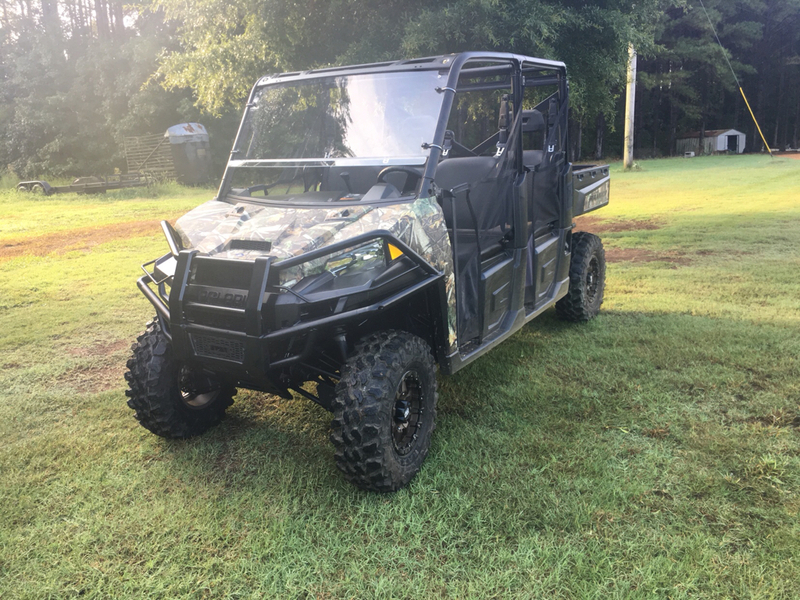 I went with the Polaris Ranger XP 900 from a Louisiana dealer. Did I see a thread on here about insurance. Sound steep to me but then again I gave never insured any of my toys. What are you guys & gals paying? Holy smokes. I am not 100% sure but I think my new one was just under $200 or so for my 1000xp crew. Search different agents on this. My 900 ranger was a lot of yr with one company and not that bad with a new company. patinlouisiana wrote: Did I see a thread on here about insurance. At first that seems a little steep to me as well. i have two atv's insured, one is < 10 yrs old, the other is a 95 .. Both run me about $20 month.. Combined I would guess their worth is about $5000 so if you double that to the value of yours, it is about right I guess. Sounds steep to me too. I bought a 2015 Kawasaki Mule 4010 trans (converts from 1 bench to 2) new that year and I pay $200 a year I believe. So what type of coverage do you guys carry? Any liability, or just comprehensive? I bought a Honda Pioneer 1000 2 years ago out of state and wanted to trade it. Dealer wouldnt take it in on trade without a title. Just a thought. I know I wouldnt buy a used one without a title. It all depends if out of state dealer that you deal with is subject to getting audited by the state of MS. I have found the farther you go from the state line the less likely the chance. I just bought a 2018 Honda Pioneer 700-4 and it's $489.00 a year for full coverage through Farm Bureau. That covers theft or me flipping it down the road . I didn't think it was too bad.